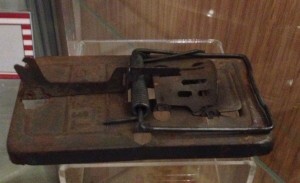 This small exhibit of the History of Mouse Traps has some of the most important traps in the recent history of mouse trap design. 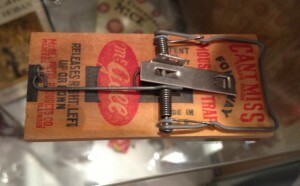 The first mouse snap trap ever to be patented. Patented by James M. Keep of New York on 4th November 1879. Made by McGill Metal Products Company of Marengo, IL. 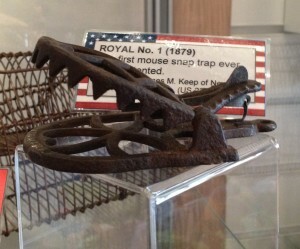 James Henry Atkinson of Leeds patented his newly designed snap trap on 4th March 1899 (GB 27488). 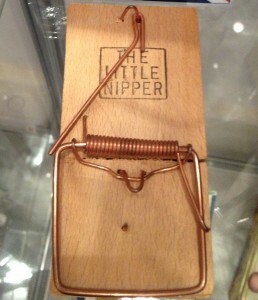 The trap is still being made by Procter Bros of Bedwas, Gwent, Wales. 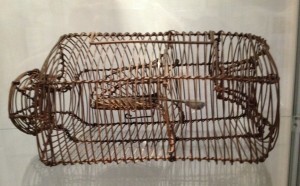 Patented by Carl Bender of Sonnenburg in 1889. He made it at first in his workshop in Sonenberg but in 1896 he transferred its manufacture to a large factory in Dotzheim. The example displayed was made for the British market and has a British patent number on its lid (GB 29,283) . Many other manufacturers have continued to make it until quite recently and given it a variety of names. 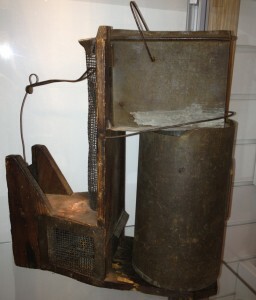 Patented by Henri Marty of Villefranche de Rouergue in 1882 (FR 152, 253) and made by the Marty brothers in their trap factory. 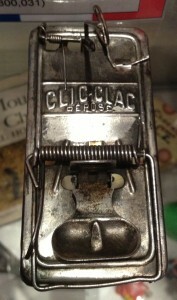 The same but larger design for rats is still in use in many countries throughout the world. 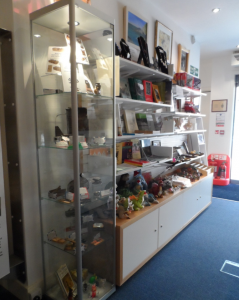 The exhibit also includes some of David’s books that he has published in Dorking, All his Dorking publications are only available from the Dorking Museum and sold entirely for its benefit. 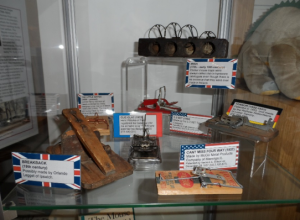 To discover more books on mouse traps and related topics and the whereabouts of other museums with important mouse trap displays visit David’s website. The donor of this small exhibition is David Drummond a zoologist educated at University College London (UCL) and Pennsylvania State University (PSU). His professional work has been largely concerned with rodent control research and advice, a field in which his expertise has been used by many aid agencies including the World Health Organisation (WHO) and the Food and Agricultural Organisation (FAO) of the United Nations. Since retiring in 1988 as the Chief Scientific Officer responsible for the UK Ministry of Agriculture’s Central Science Laboratories involved in research into Plant Pests and Diseases he has moved to Dorking where he has occupied himself with gardening, overseas travel and writing books and articles on the history of rodent control particularly in relation to the successful development of better mouse traps.